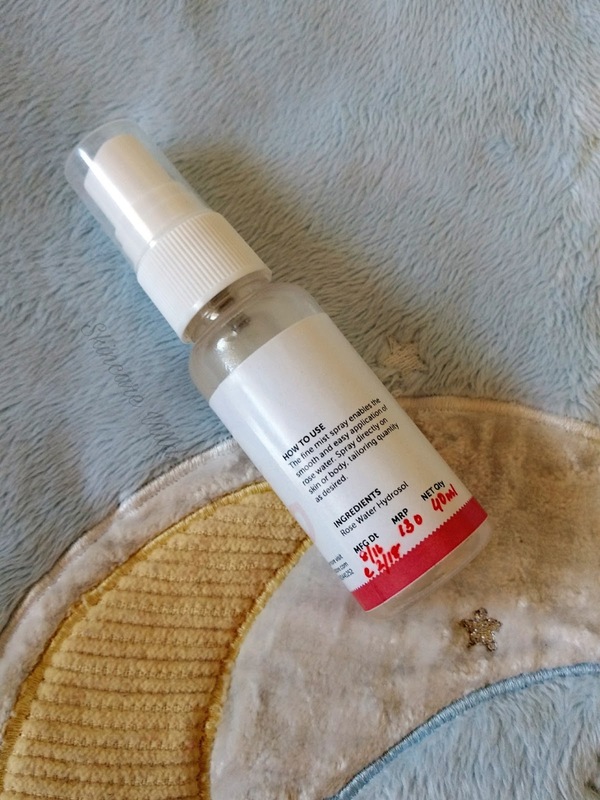 I have never used any hydrosol till date but after using this one I knew what I was missing. 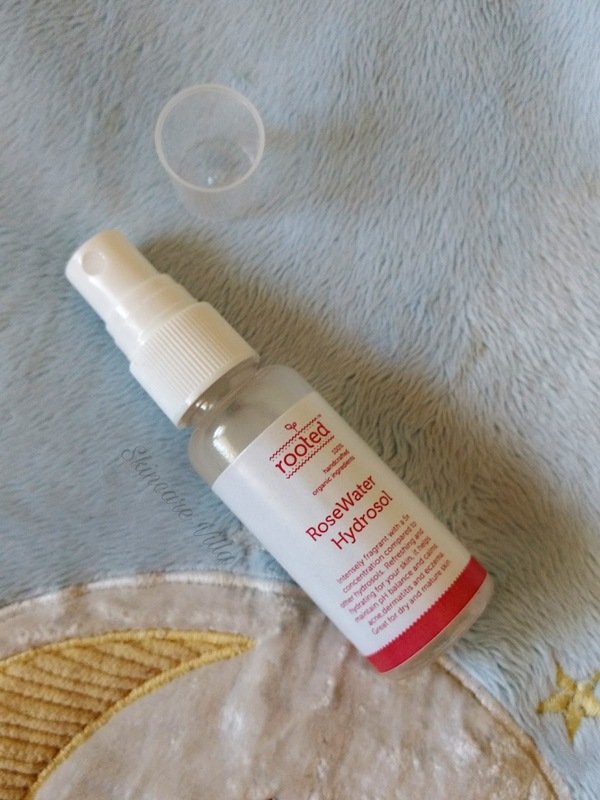 I don't know about other hydrosols but Rooted Rose hydrosol is the twin of Rose water it seems, as it imparts the same properties. Enough of chemistry language now.... Let's read something about Hydrosol and head to the review straight. Hydrosols, also known as floral waters, hydroflorates, flower waters or distillates are products from steam distilling plant materials. Hydrosols are like essential oils but in far less of a concentration. Intensely fragrant with a 5x concentration compared to other floral hydrosols. Refreshing and hydrating for your skin, it helps maintain pH balance and calms acne,dermatitis and eczema. Great for dry and mature skin. The Rose Hydrosol is packed in a small pump up packaging which works perfect in dispensing the right amount of hydrosol. The pump up packaging is sleek in nature and the cap fits in tightly so it can be easily put into a handbag without the fear of spillage. They also have a bigger packaging than this however this is very travel friendly. In terms of fragrance, it is intensely fragrant of the mesmerizing rose fragrance. From the past 10-12 days am using it as a toner after CTM routine and the results have been very good. After cleansing a spray some hydrosol on my face, let it dry and then I apply my night cream. In the morning when I wash my face with a splash of water I feel the faint rose fragrance of previous night application. It's that much fragrant. It is a treat for rose fragrance lovers. Coming to the effects, it has reduced the pore size to a certain extent and gives even toned skin for some time. It is also hydrating and soothing for the skin. You get a calm and cool feeling, post application. Sometimes I skip my night cream after using this Rose Hydrosol just to breathe in the mesmerizing fragrance it offers (not a good idea of skipping the cream, I know 😛). It still cures my dry patches and prevents further drying, if the cream is skipped. 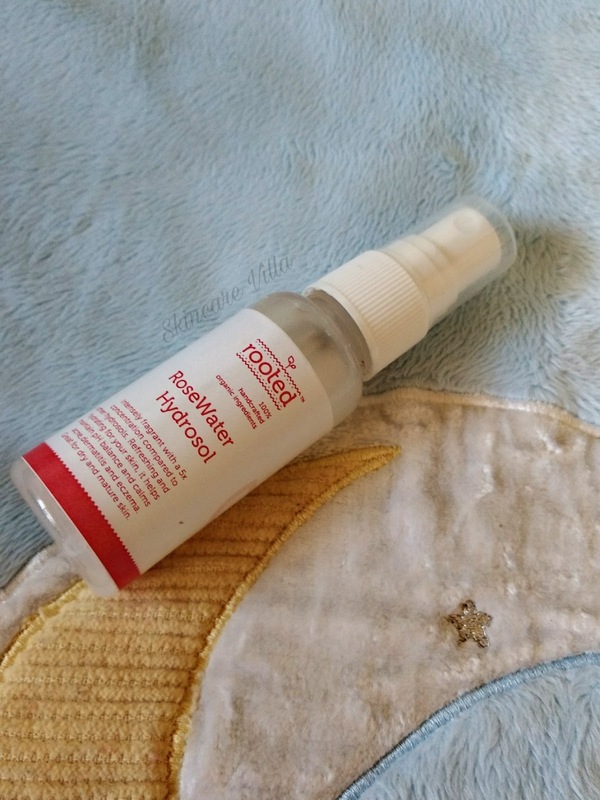 Overall an amazing hydrosol to use for skincare addicts. 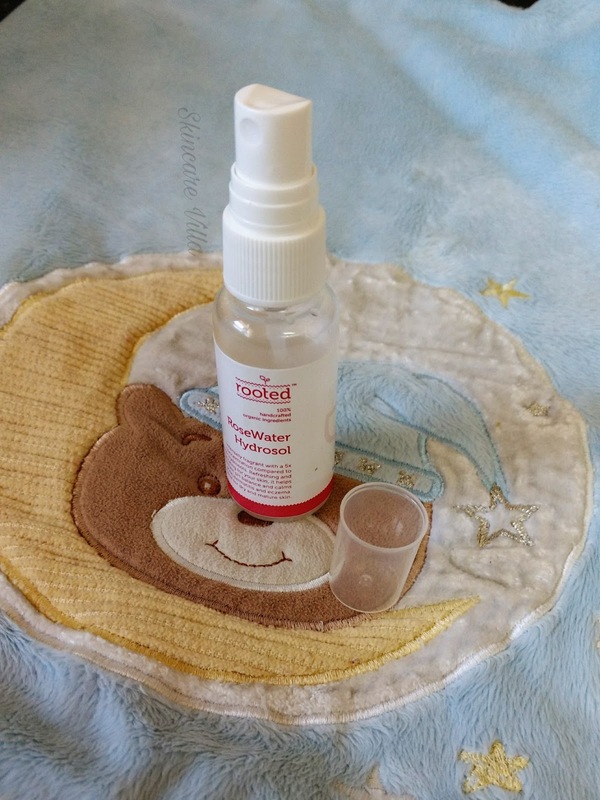 I would highly recommend using Rooted Rose Water Hydrosol for the hydrating and fragrant qualities. 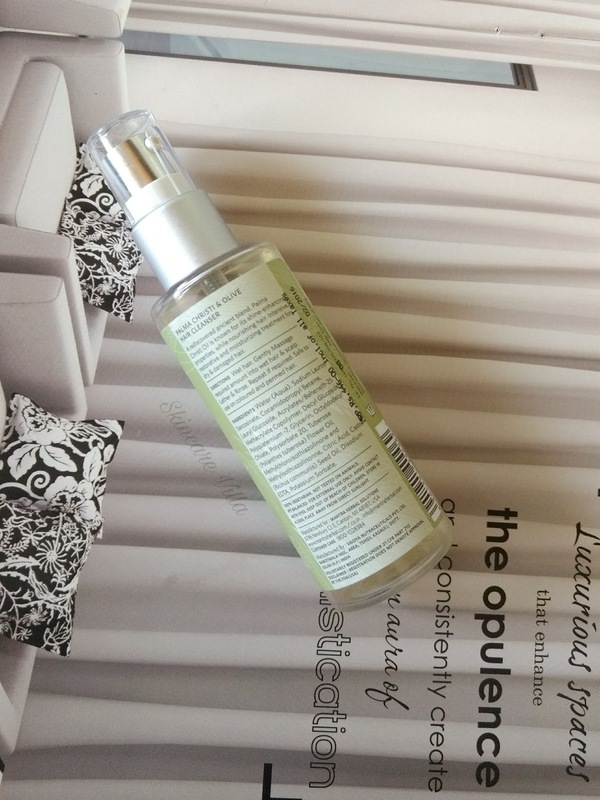 It has also shrinked my pore size and doubles up as a toner. Moreover it can be used while mixing dry face packs also. Rooted Rose Hydrosol does all this at a very affordable price tag. I am surely buying another one from Rooted Store 😊😊😊. Winter calls for some extra love to our skin as it tends to turn dry. 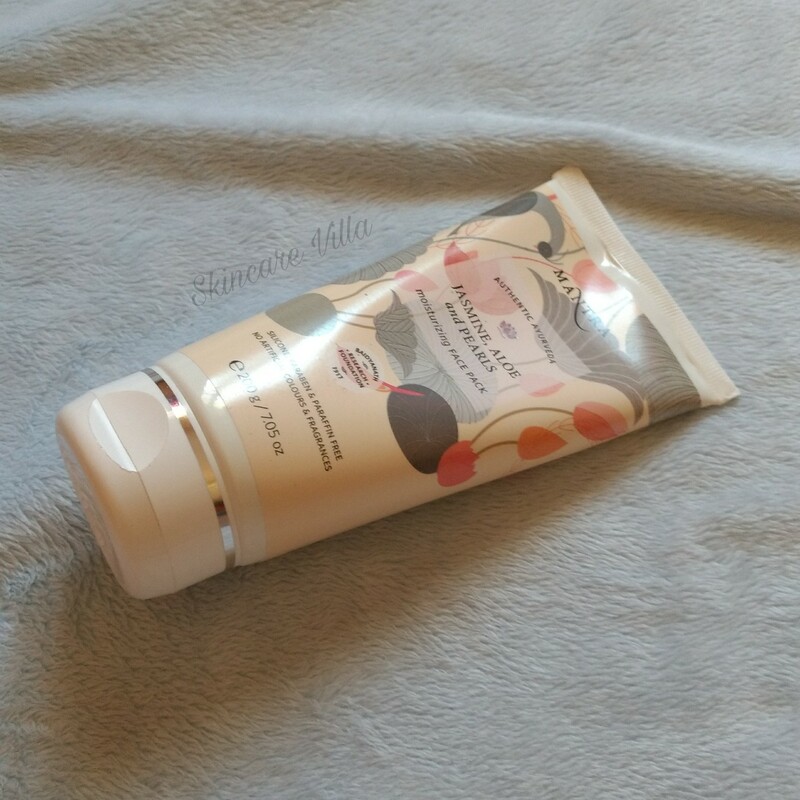 A body lotion is a must use skincare product all round the year. 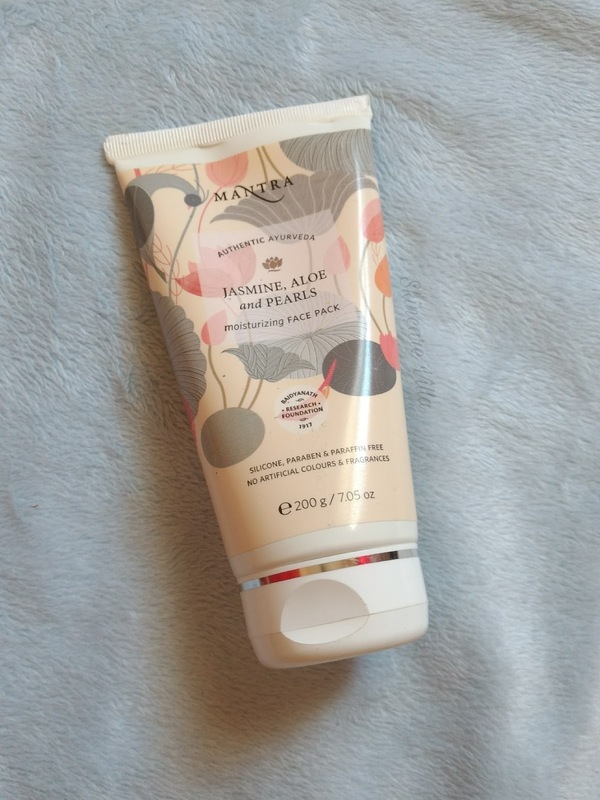 Today's review is about Mantra Kokkum Butter and Pistachio Winter Care Lotion. 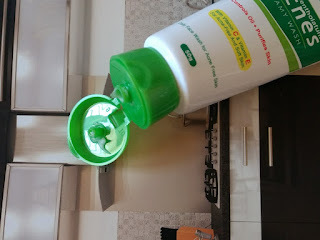 The product is packaged in a pump up bottle and the dispenser works just fine for pumping up required quantity of body lotion. The fragrance of the body lotion is that of an essence stick and a bit more ayurvedic. The lotion is pale white with runny consistency. The lotion spreads easily and takes some time to get absorbed onto the skin. Dry skin areas like feet and legs absorb it readily whereas hands take time to absorb. 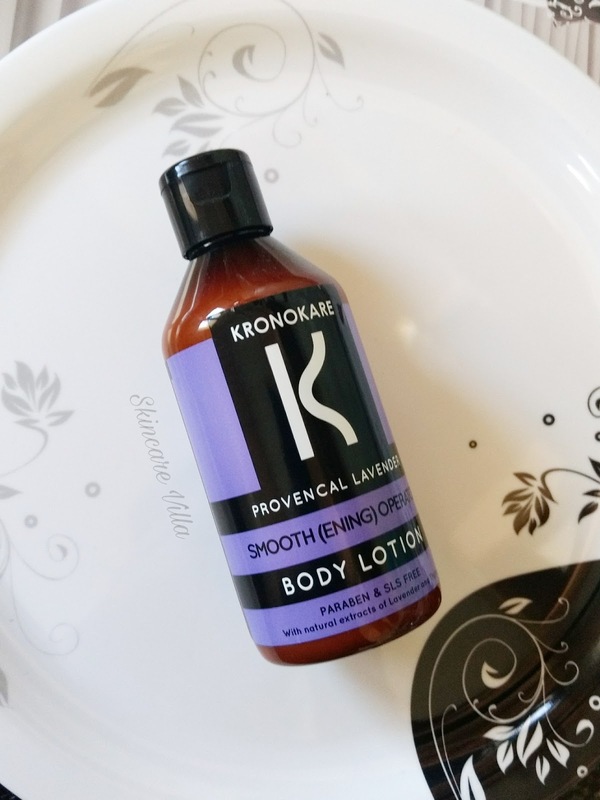 The body lotion moisturizes the skin and gives an hydrated look sans the sheen. It doesn't even feel like we have applied a body lotion. 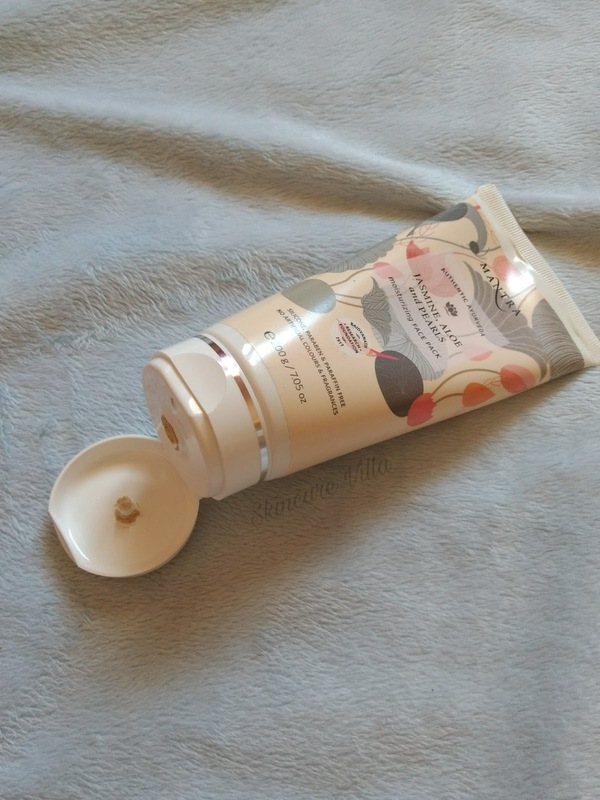 The body lotion isn't sticky at all and doesn't give stick feeling even if applied in excess. It moisturises the skin for around 5-6 hours not heavily though due to its light weight formula. 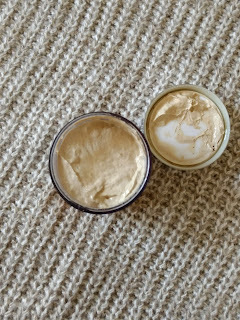 Winter season calls for some heavy body lotions or body butters. This lotion is exactly the opposite it moisturises without being heavy on the skin. Dry skin and severe winter stricken people may not find the body lotion sufficiently hydrating. 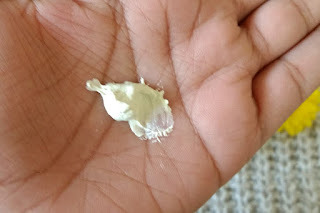 However my skin doesn't get excessively dry due to usage of handmade soaps, is the formula was enough for me during winters. Overall a good option to try out for a change at a heavy price though. Hydrates and Moisturises moderately for normal and oily skin. 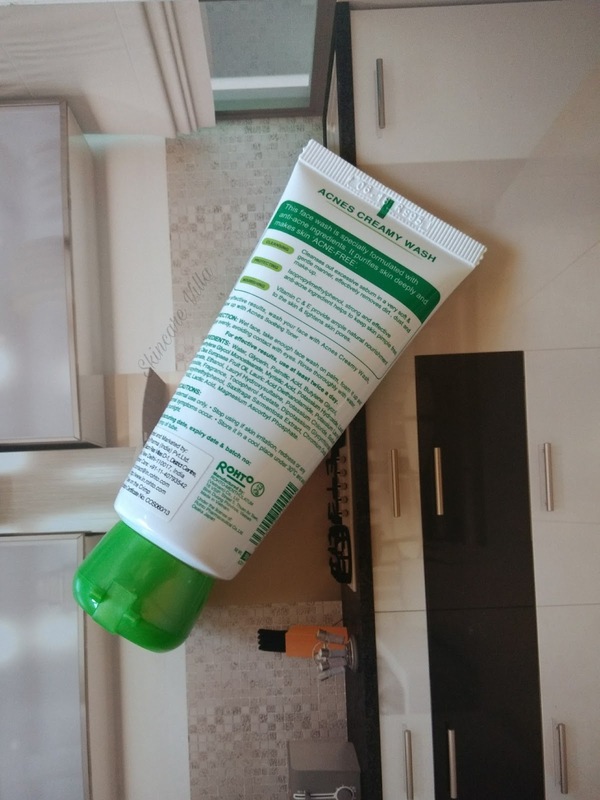 It is an ideal body lotion for summers and for normal skin beauties. Moreover it will suit the summer season due to its light weight formula. 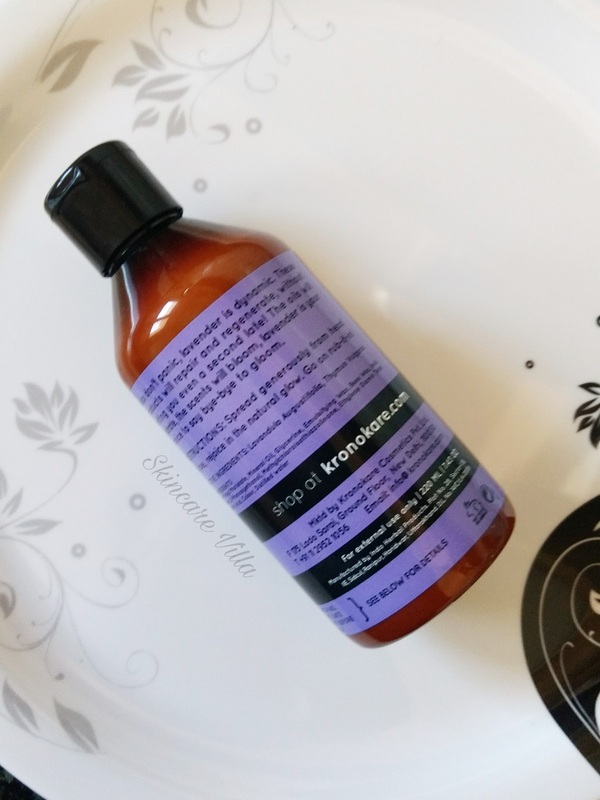 For winter season and dry skinned beauties the formula won't be enough and although it is free from harmful chemicals it is a bit pricey for the job it does. Treating acne marks is as important as treating acne. Often sometimes those nasty marks remain for months, especially if you have pricked your acne with your finger. Marks totally scar the look and complexion of your skin. 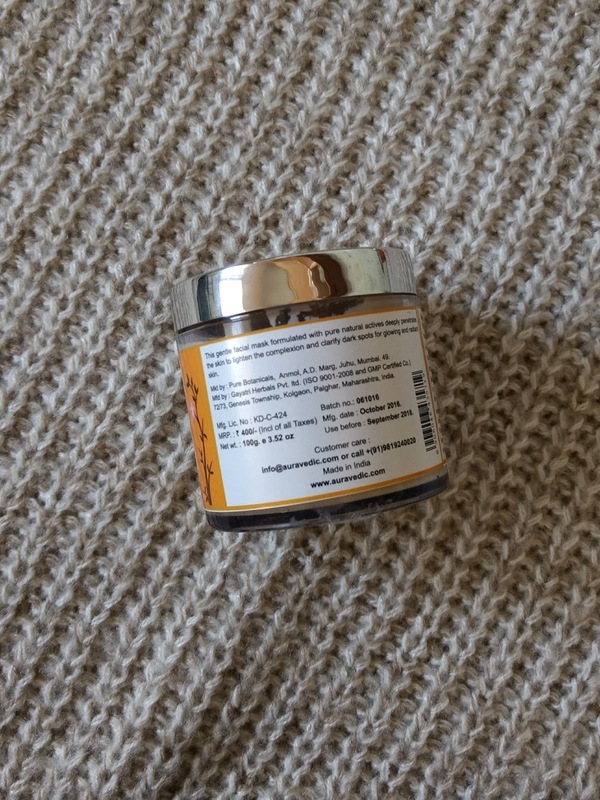 Today we will be talking about Auravedic Ritual Skin Lightening mask which I have originally reviewed here. The formula has changed a bit, but the product is as effective as it was earlier. The product being reviewed today has a revamped packaging. 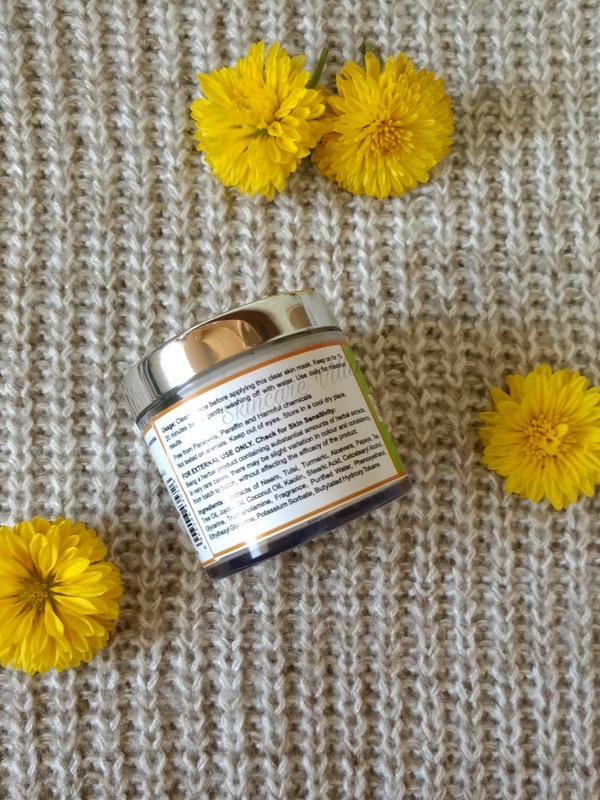 Brand claims -This gentle facial mask formulated with pure natural actives deeply penetrates the skin to lighten the complexion and clarify dark spots for glowing and radiant skin. 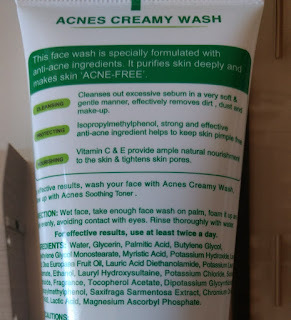 Ingredients - Extracts of Red sandal, Saffron, Turmeric, Neem, Tulsi, Licorice, Amla, Papaya Enzyme, Kapoor Kachri Oil, Nagarmotha, Kaolin, Potassium Sorbate, Stearic Acid, Cetostearyl Alcohol, Emulsifying Wax, Beeswax, Triethanolamine, Glycerine, Ethylhexyl Glycerine, Butylated Hydroxy Toluene, Phenoxyethanol, Fragrance, Purified water. As you can see the packaging is looking quite luxurious, with a silver top lid and big plastic tub. 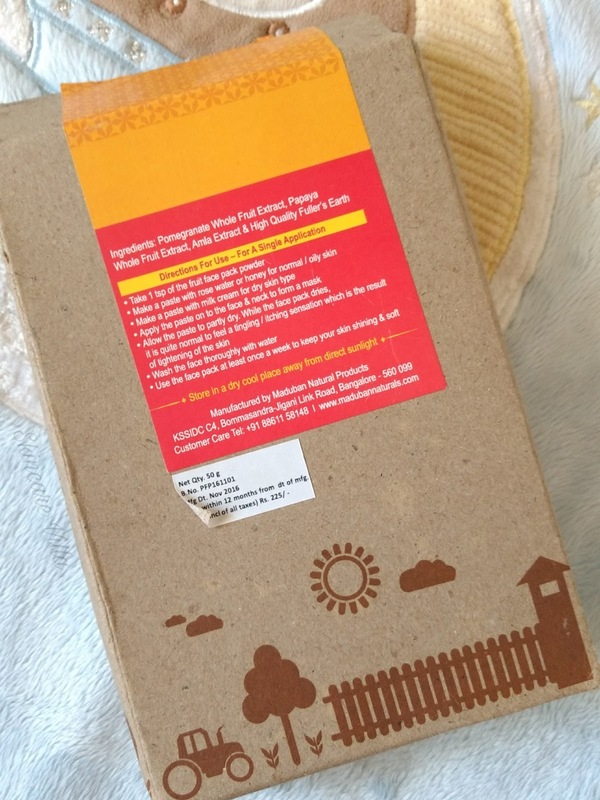 The product is 100 gm packaging and so looks like this, although a small packaging of 50 gm is also available, which had similar packaging. The packaging is sturdy and travel friendly. The inner lid provided prevents product leakage. The consistency of the mask has also improved and is very smooth now as compared to a grainy one earlier before relaunching. 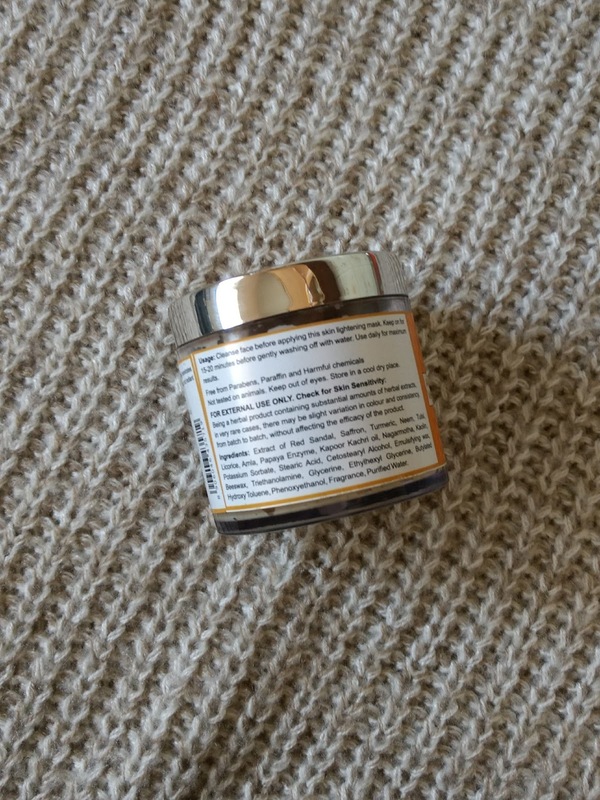 The face mask has a very little yellow tint to it, as opposed to the earlier formula. Still the product is very effective in treating acne marks and pigmentation. The face mask doesn't dry at all and is a good way to prevent drying of skin post usage of face masks. The mask also gets washed off easily. 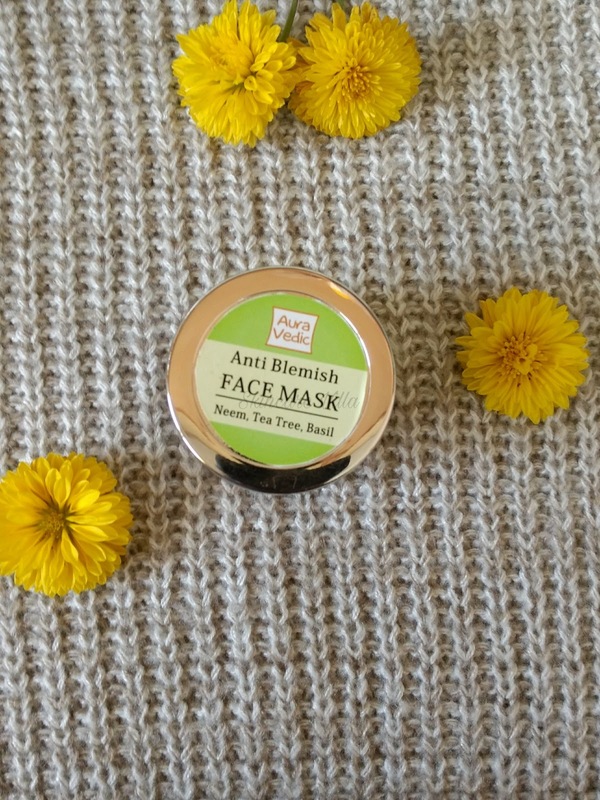 The fragrance of the mask is herbal and is non bothering as well as non lingering. I totally liked the fragrance as it's not very strong for my picky nose. Post washing the skin feels very soft and even toned. It also gives a subtle temporary glow to the skin. Coming to the efficiency of the mask, it effectively lightens the acne marks and pigmentation, lightening of the pigmentation takes a while though. According to the brand claims the mask doesn't lighten complexion as a whole or dark spots caused by sun. I don't know if dark spots referred here are acne marks or those caused by sun exposure. However regular usage lightens fresh acne marks faster and the mask does this while being gentle on skin. 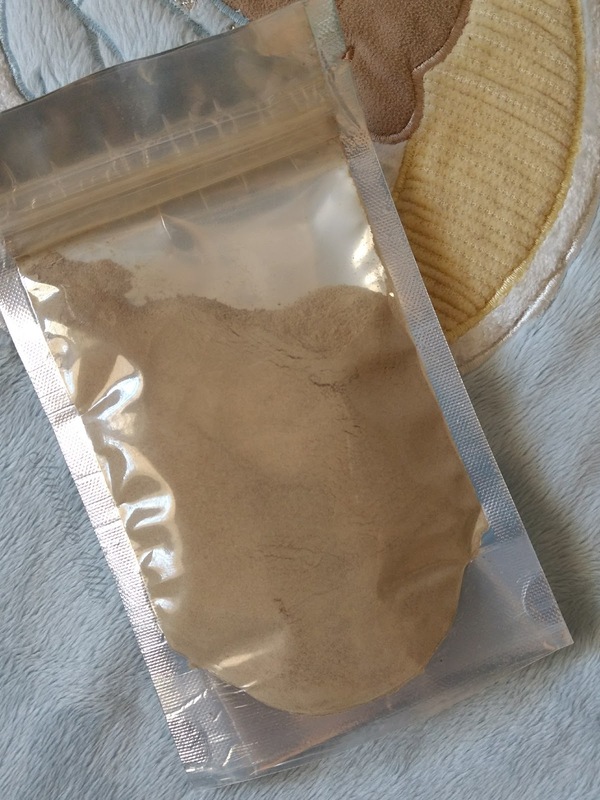 For those who use the mask for first time or after a long break some tingling sensation is felt, which totally fades after some time. 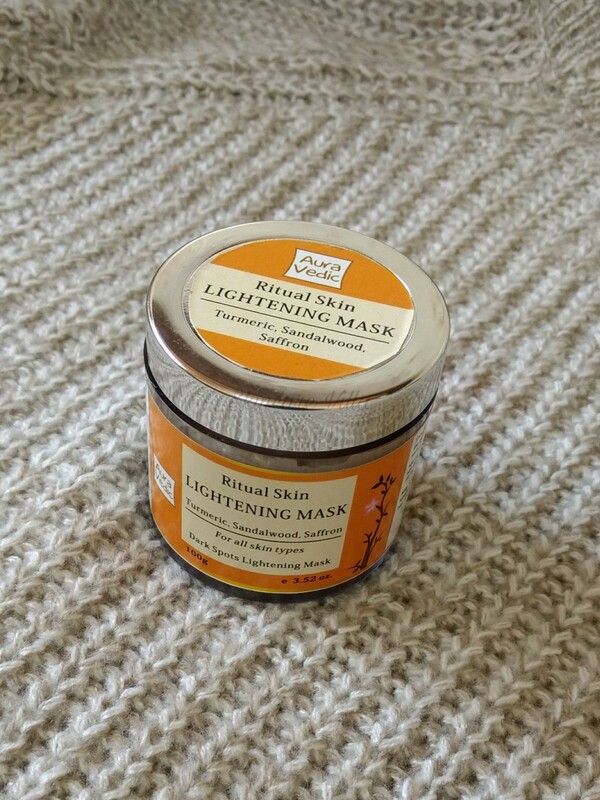 I have earlier used this face mask and am really impressed with the effects of the mask. Daily use is recommended to see faster results, and daily usage doesn't harm the skin at all. 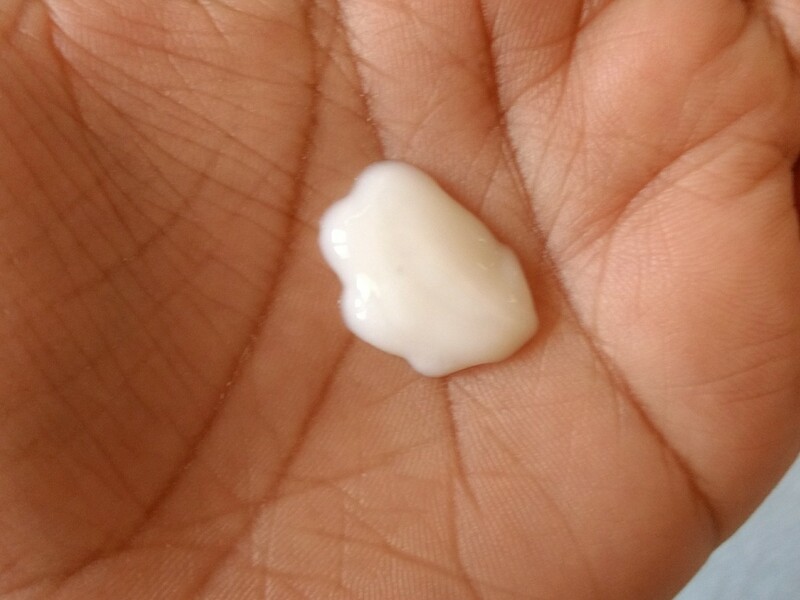 If you have dry skin then moisturization post usage is recommended. I would highly recommend the Auravedic Ritual Skin Lightening mask for those looking for lightening the acne marks and pigmentation. Price, Shelf life and Availability - 400 INR for 100 gms with a shelf life of 2 years. Also available in 50 gm size. Easily available on major shopping portals and is often in discounts. 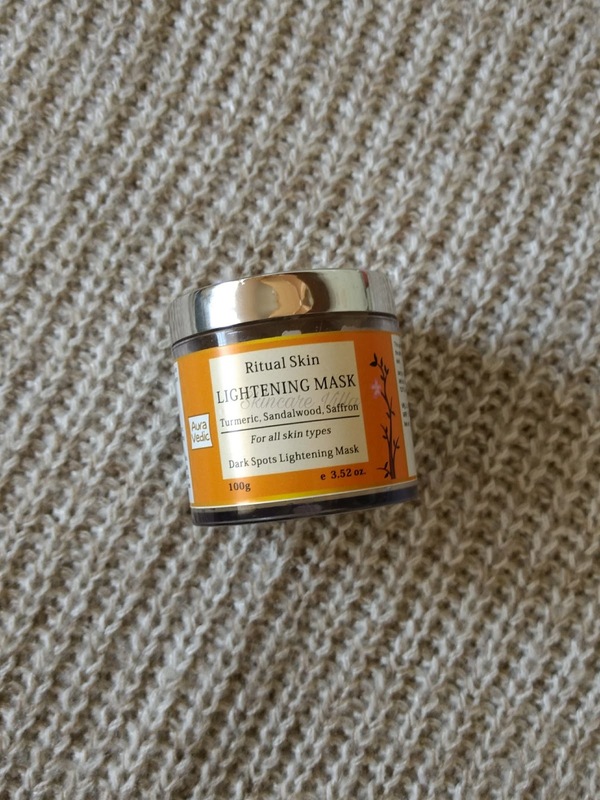 I would highly recommend using the Auravedic Ritual Skin Lightening mask for those who are looking natural remedy to lighten the acne marks and also want a budget friendly option. 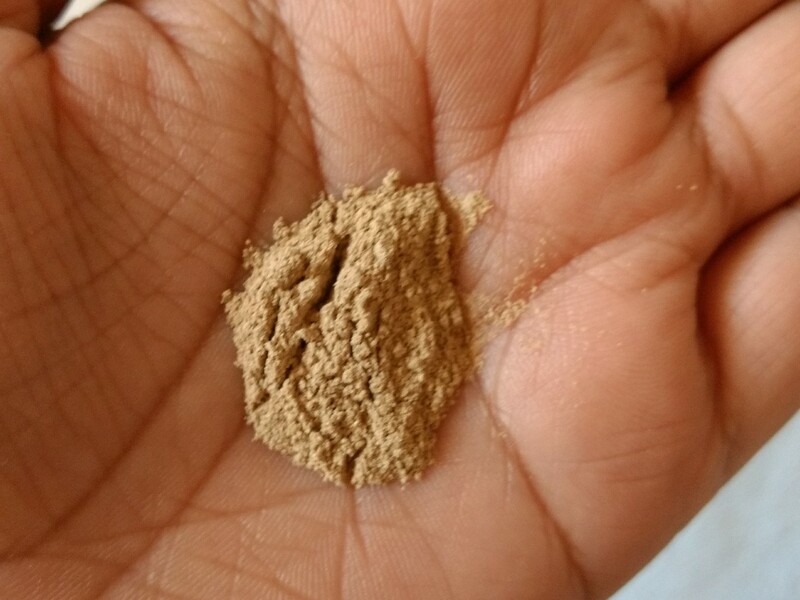 The formula being herbal doesn't have any side effects on he skin. Moreover the formula is paraben free and the product is easily available online. 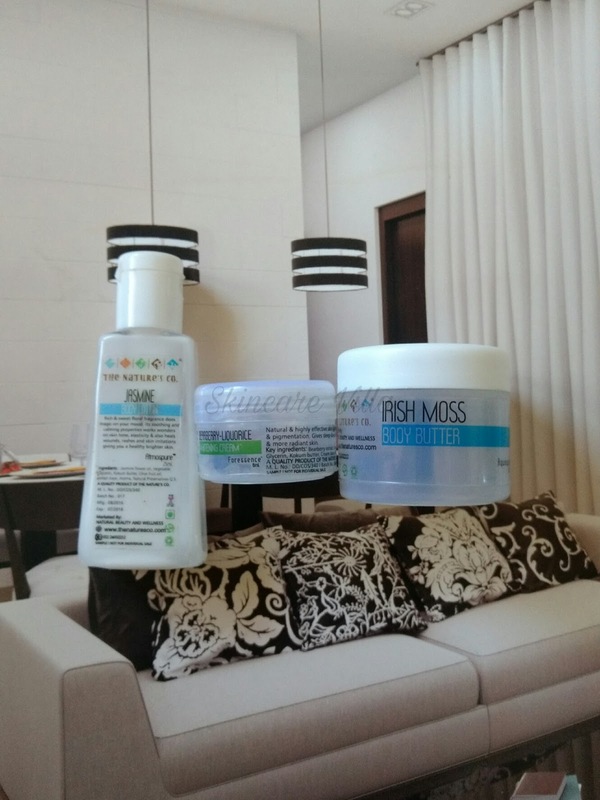 Highly recommended product by Skincare Villa 😊😊. 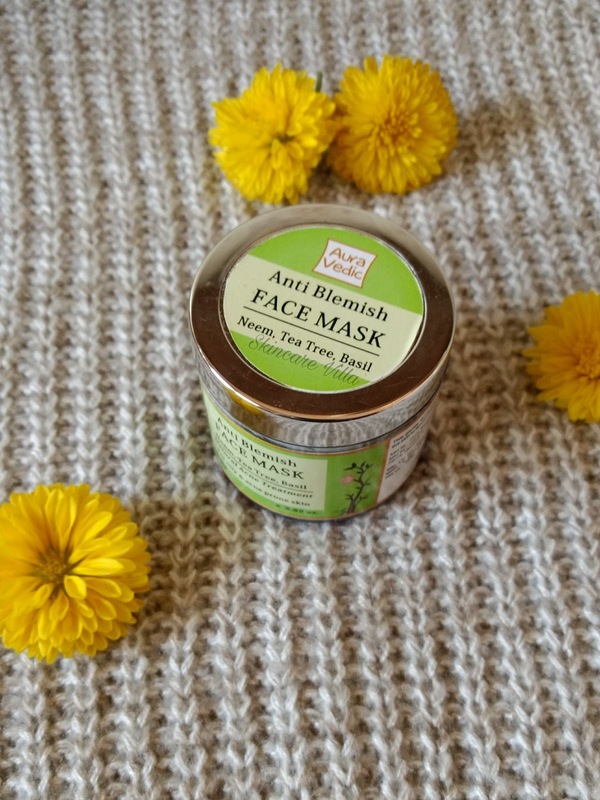 Face packs are one of the skincare products where experiments seldom fail. I often get queries on Facebook and Instagram from girls that they want glowing skin. The facepack am reviewing today is a good remedy to get glowing skin when used consistently. However please remember Happy girls are the prettiest. If you aren't happy from within it won't show up on your face. 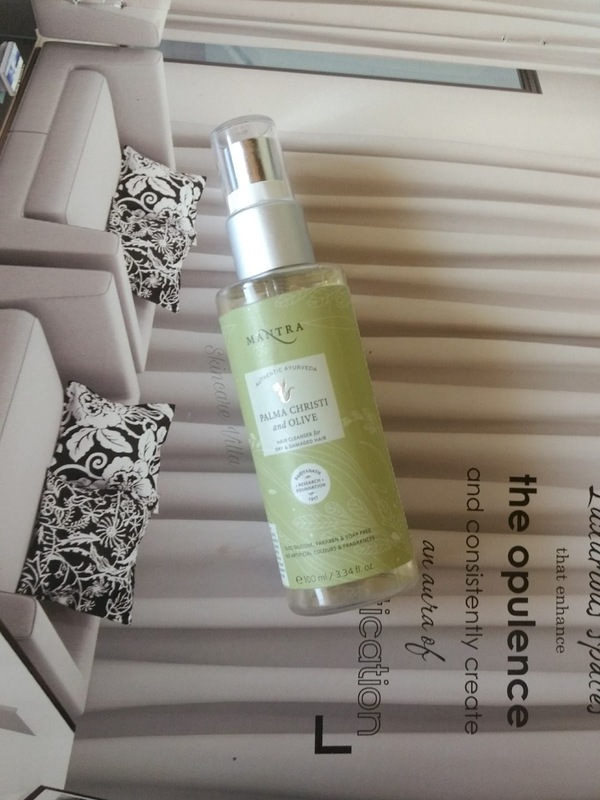 Enough of philosophy now, back to business, read the review if you want healthy glowing skin. 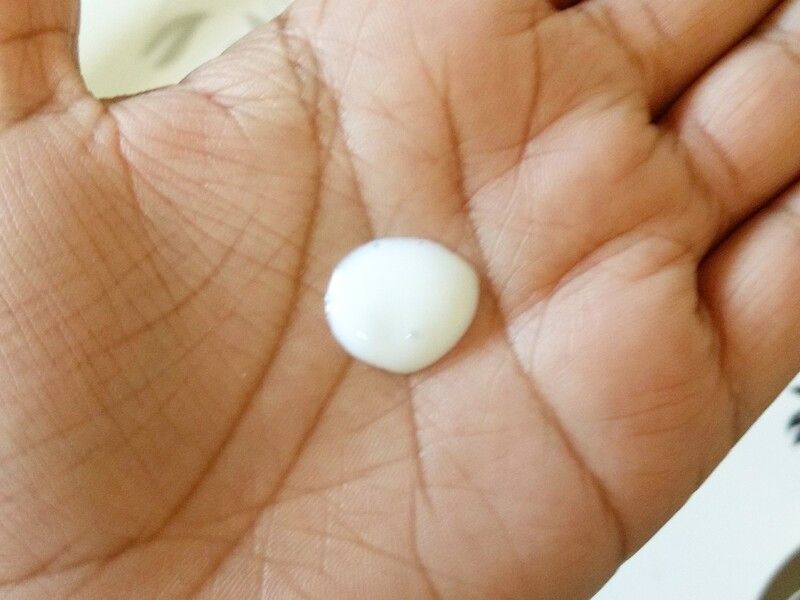 Brand Claims - An intensive moisturizing therapy with Aloe Vera, Honey, Crushed Pearls & Glycerin. Honey is an intensive moisturizer that hydrates the skin & provides the appearance of firmer skin. 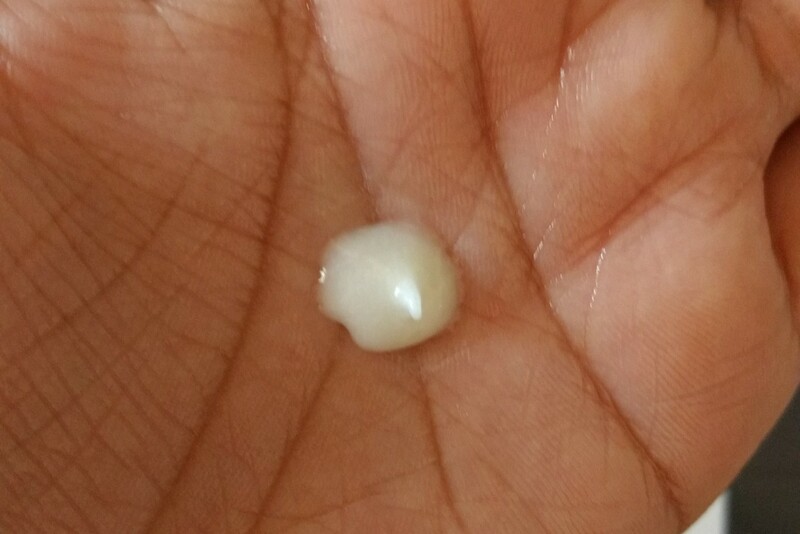 Crushed Pearls are known for their complexion- brightening & purifying properties. Glycerin relieves dry skin conditions. This pack moisturizes the skin with essential oils & nutrients making it soft, supple & glowing. 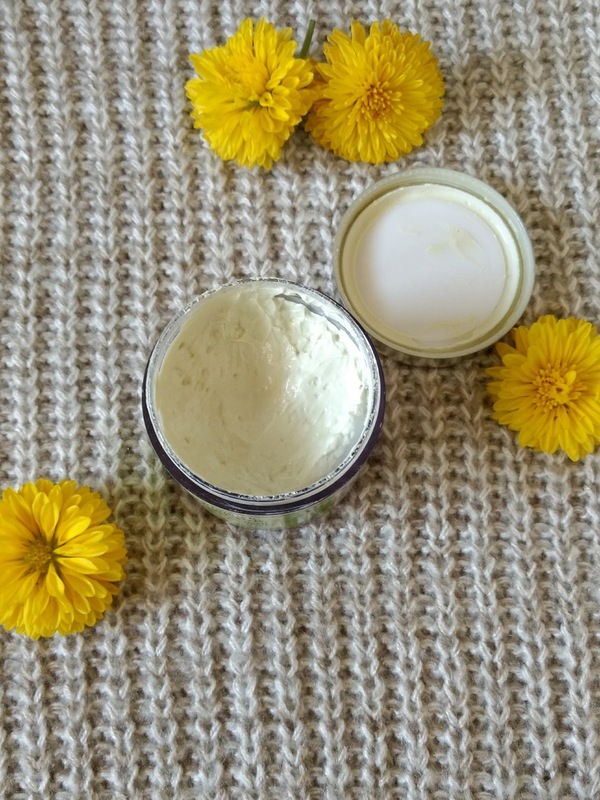 Ingredients - Aqua, Kaolin, Emulsifying wax, SOLUM FULLONUM(Fullers Earth), Seasmum Indicum (sesame) seed oil, Aloe Barbadensis (Aloe vera)leaf juice, Pearl Powder, Glycerin, Calamine, Honey, Rosa Centifolia (Rose) Flower water, Persea Gratissima (Avocado) oil, Jasminum Officinale (Jasmine) Flower Oil, Triethanolamine, Lactic acid, Phenoxyethanol, Potassium Sorbate. The face pack is packed in a flip cap tube mine is a full sized pack, so it is looking bulky. The flip cap top is a little lose and opens up easily and hence while travelling a special care is to be taken. The tube has an attractive design with pink, white and grey doddle sort of art. I totally love the packaging colour theme. Each product has a different colour theme based on its ingredients, that's something innovative right 😊. Coming to the consistency and texture of the face pack, it is very smooth, soft and fine paste sort of face pack. It spreads easily on the face. There are no grainy particles in the face pack. 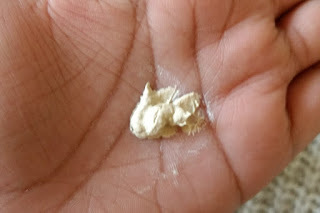 The texture is that of mud face pack and fragrance is very earthly with a hint of jasmine in it. 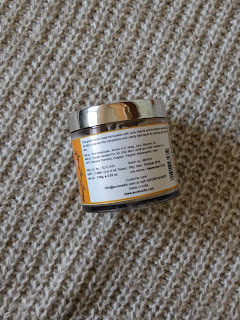 The face pack overall smells a bit like an essence stick and is very Ayurveda sort. Nonetheless it is amazing also in it's effects which are listed below. After applying a thin layer I wait for around 10 minutes and the face pack dries a bit. I never let any of my packs to dry up whole. While it's still moist I wash off with plain cold water. The face pack gets washed off easily and quickly. The face gets a natural glow and the skin becomes even toned. My skin became a little soft and supple for some 4-5 hours post usage. As claimed the face pack moisturises the skin a bit, my flaky skin was okay sort after using this face pack. Overall a good face pack to try out. 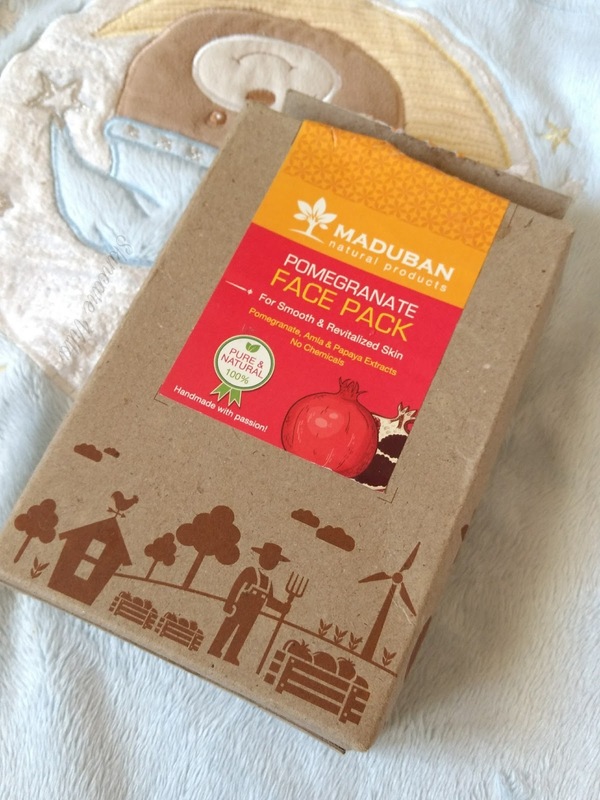 The face pack gives glowing skin with regular usage and is meant for all who crave glowing skin always. I haven't seen any difference in acne marks or skin tone after using this face mask regularly. Some may find it pricey, but it costs 900 for 200 gms that's roughly 225 for 50 gms. If the breakdown is taken into consideration it feels moderate. 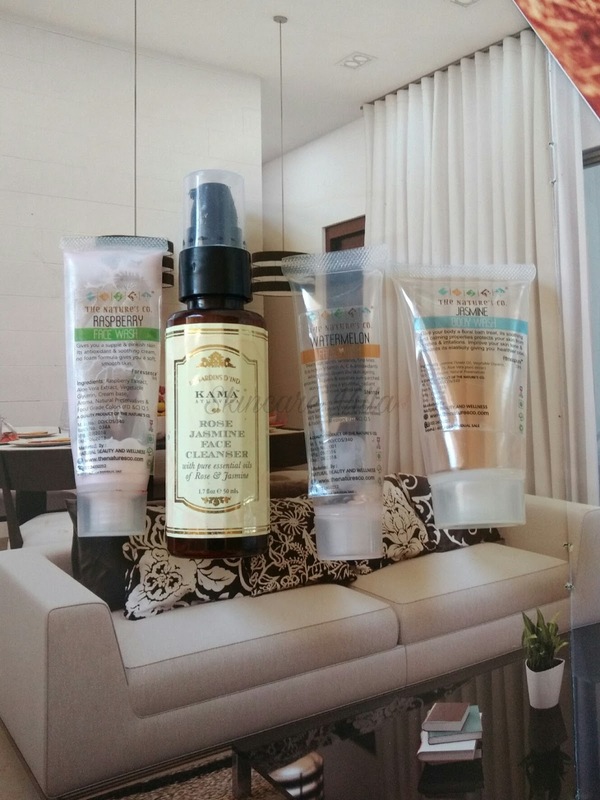 All Mantra products are sold in high quantity product package and hence feel a bit pricey. Yes I too feel that but when the price is calculated as a breakdown it doesn't feel so. If you are looking for a product to get glowing skin, then this is a must try product. The formula is based on Authentic Ayurveda and is free from harmful chemicals and animal ingredients. If you don't mind buying a big size product then this would be a great choice. It is a good face pack which gives instant glow to the skin. However I like to experiment with face packs and often end up trying new ones. I wouldn't repurchase this due to bulky size available. Today's review is about Mantra Herbals Palma Christi and Olive Hair cleanser which I have been using for over one and half month. But before heading to the review let's see what Mantra brand is. Mantra is an initiative of the Baidyanath Group, a name synonymous with Ayurveda since 1917. While still a personal care product, the Mantra range has a very high percentage of active Ayurvedic herbs which when formulated for specific purposes have shown great promise in addressing those concerns. Every product in the range is a unique experience – a journey towards true beauty. Brand Claims - A rediscovered ancient blend. Palma Christi Oil is known for its shine-enhancing properties, while strengthening and nourishing hair. 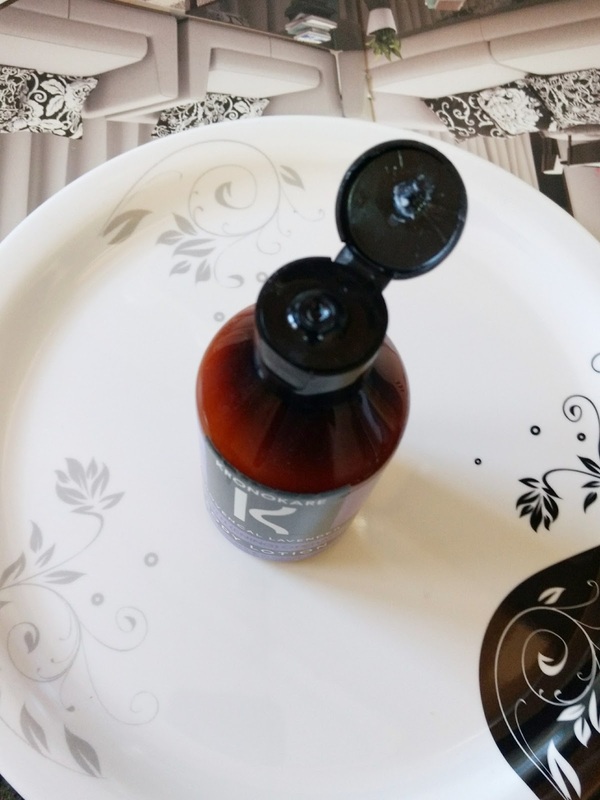 Intensive, restorative and moisturizing treatment for dry & damaged hair. 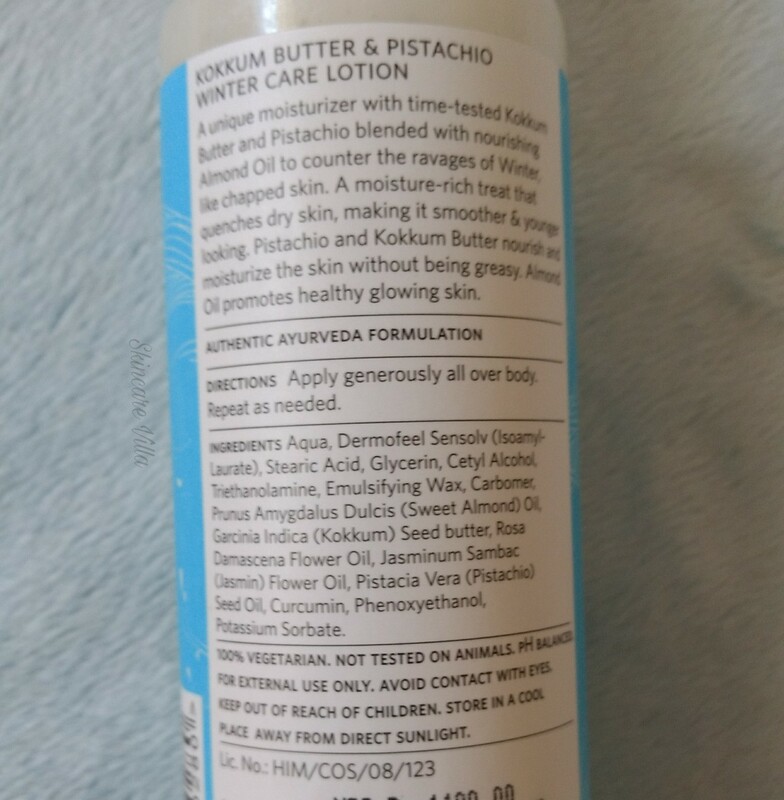 Ingredients - Aqua, Sodium Lauroyl Sarcosinate, Coco Amido Propyl Betaine, Decyl Glucoside ,Lauryl Glucoside ,Acrylates/Beheneth-25 Methacrylate Copolymer , Lauryl Olivate , Polyquaternium -7,Glycerin ,Polyethoxylene Sorbitan Monolaurate(Tween 20),Glycerol Mono Stearate, Ricinus Communis (Castor) Seed Oil, Tuberose Oil, Kathon CG, Citric Acid, Disodium EDTA , Potasium Sorbate. 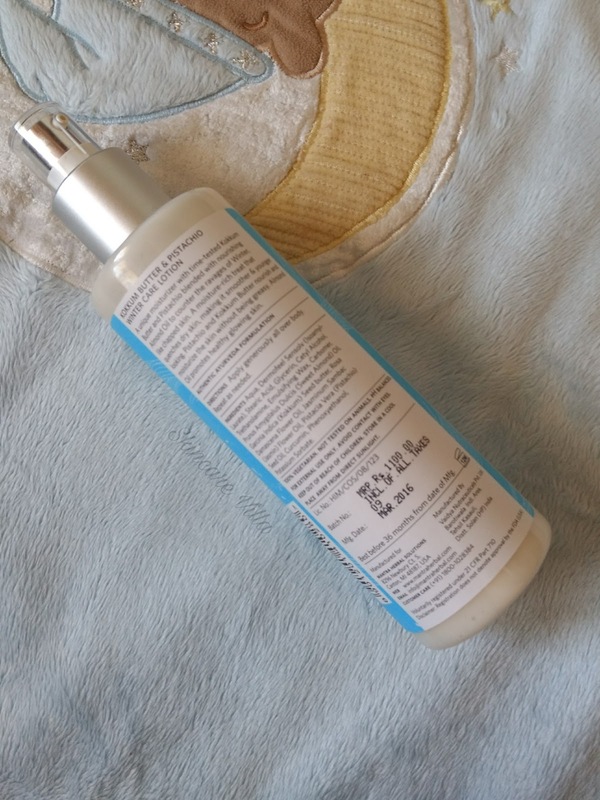 The product is packed in a pump up bottle with a small plastic cap to close the pump up. The plastic cap is very loose and comes of easily. Also the pump up nozzle hole is very small and we need to relentlessly pump up the hair cleanser for the desired quantity for usage. Now coming to the fragrance and results of the hair cleanser, the fragrance is a lot like an incense stick and consistency is a bit thick. The hair cleanser doesn't dispense easily in the bottle itself. 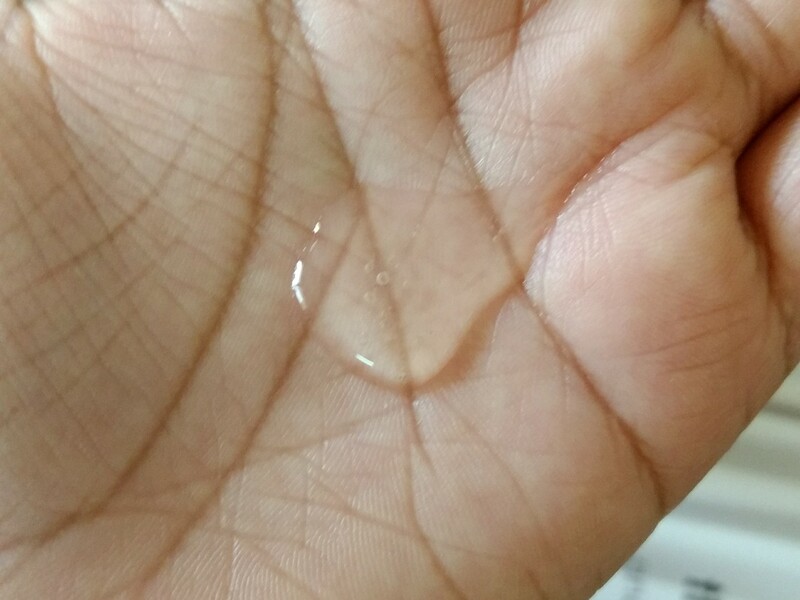 The hair cleanser lather quite good even in Bangalore hard water. The hair cleanser doesn't dry out your hair ever. I used it for around 2 months and am about to finish it. The hair cleanser doesn't wash it the oil from hair, natural oil or the one applies before night. It cleanses the scalp nicely without overtly drying it, and doesn't show any effect on dandruff. But I didn't have any problem with it not working on dandruff because it doesn't claim to reduce one. It makes the hair soft and smooth since it doesn't wash out the oil basically. If you oil your hair and wash, the hair will be left a bit oily but thoroughly cleaned. If you have dry hair, and don't like applying oil, then you will need a conditioner for sure. Now the major concern of All, it highly reduces the amount of hair you lose in the shower. I am highly impressed by this quality of the shampoo and I would highly recommend the Mantra Herbals Hair cleanser for this sole reason. Some might find it bit pricey, but no amount is greater than the mane!!! Moreover it is free from parabens, SLES and other chemicals which harm the hair more than anything. Price, Shelf life and Availability - 446 INR for 100 ml with a shelf life of 36 months. Available on Mantra Herbals website. I would highly recommend the Mantra Herbals Palma Christi and Olive Hair cleanser for its efficiency of reducing the hair lost in the shower. It isn't drying for the hair and cleanses the scalp nicely. What all do we want in a shampoo? Auravedic is a brand which has many products and still I have tried just two products from this brand. 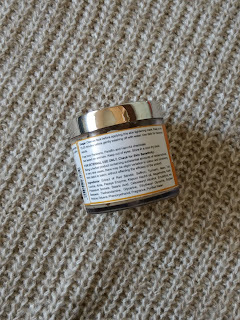 The Auravedic Anti Blemish Facemask (originally reviewed here) I have purchased for around 4 times, once it was on sale on Amazon as the brand has launched a new packaging. I immediately grabbed two Auravedic Anti Blemish Facemask 😁😁😁. The new packaging looks very luxurious and the big bucket is surely my favourite. However the formula of the product has changed a bit from a slight green colour to overtly white. However the product still is my favourite to reduce acne and blemishes. Read further to know how the new formula still works. Brand claims- Keep skin blemish free by quickly reducing breakouts with this maximum strength formula. The mask unclogs pores to unblock trapped dirt & oil. Skin is left free of acne & pimples while willow bark purifies pores to prevent further breakouts. 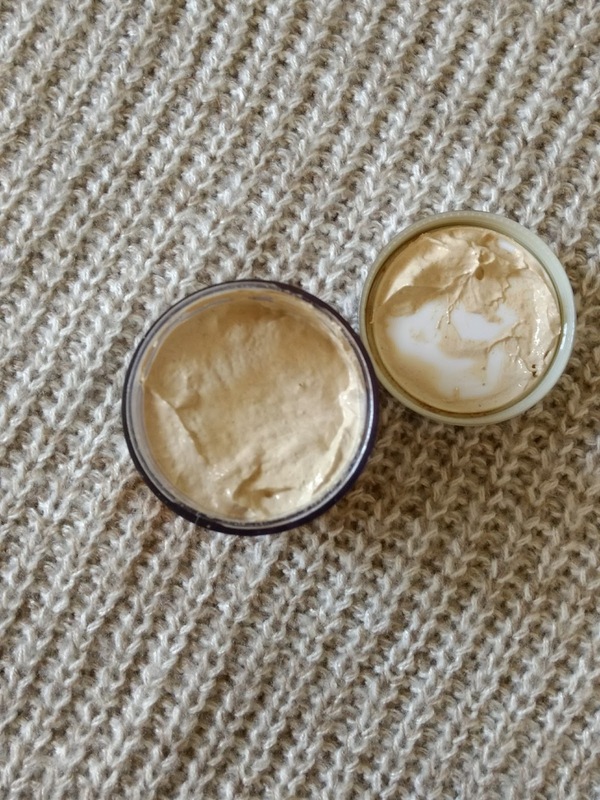 The face mask is packed in a tub with inner lid and outer metallic sort screw up lid. The whole packaging is plastic and has no problem whatsoever with leakage and breakage. I have accidentally dropped a fee times and still it is intact. 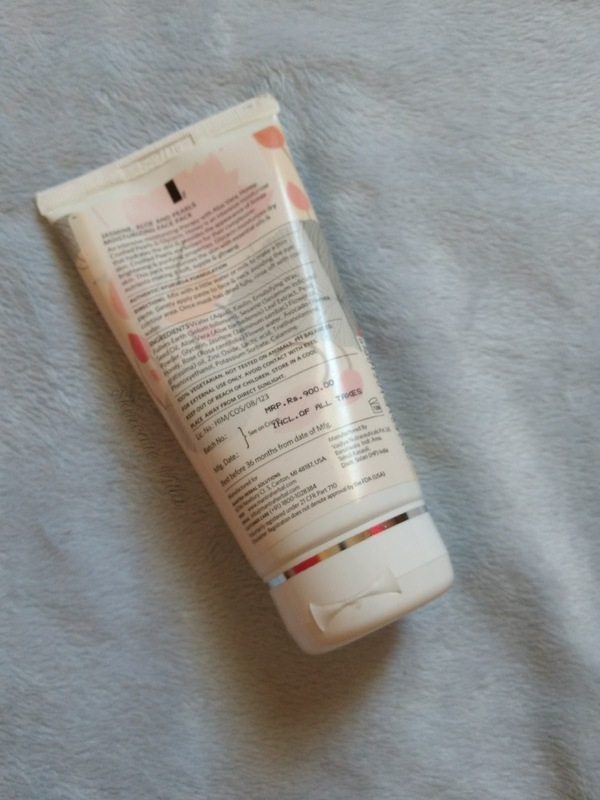 The colour of the face mask is white with a slight, very slight green colour and consistency is very smooth as opposed to the previous version of the mask. I like the fact that the consistency has been made very smooth to make application easy. However I used to like the green colour and the aroma of it. The major reason being that now the ingredients has no Amla. Nonetheless the mask performs it's job very, very well. As said earlier, application is easy due to smooth consistency, and the mask doesn't dry up due to the oil content in it. I like the fact that it doesn't dry out as oily skin tends to dry up after using Kaolin based masks ( this one has Kaolin). After washing it off the skin becomes, smooth and soft. It looks radiant and evened out. As far as my acne is concerned, it is hormonal acne. So they often visit with or without relatives and I often end up using this mask. It reduces the acne size if used daily for 4-5 days. 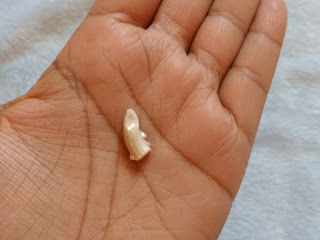 But since mine are hormonal ones, I know their timing and hence use prior of them peeking on my skin. Preventive measures you can say 😁😁😁😁. 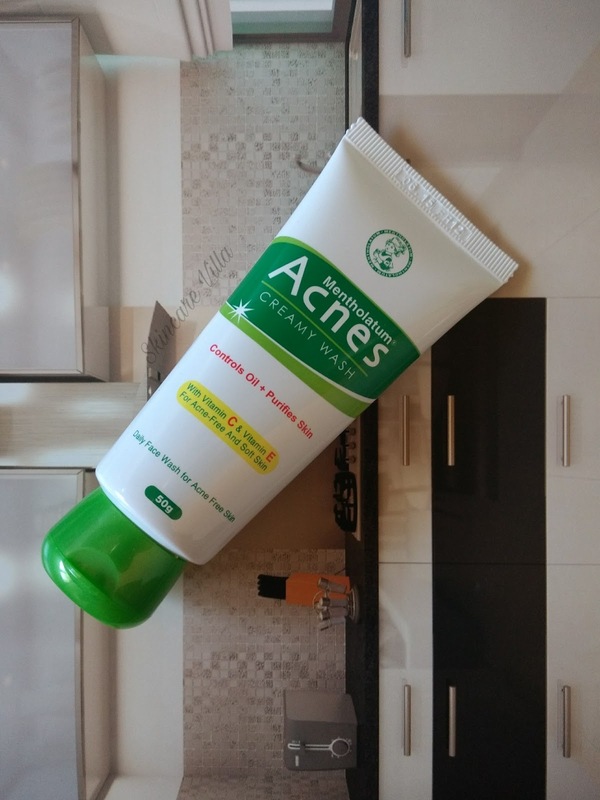 I have already repurchased it quite a few times and can really vouch this product if you are looking for a affordable products take your acne. Price, Shelf life and Availability- 400 INR for 100g with a shelf life of 2 years. Available widely on Amazon, myntra and Auravedic website also. As a parent now I understand the concerns and dilemma of my parents. During college days I used to always get annoyed with my mom's questions and concerns. My mom used to wittily say that once you become a parent, then you will understand the heart of a parent. And yes, few years later we are sailing in the same boat, worrying and brooding over our respective kids (yeah she still does that). All parents want the best of everything for their kids and am not an exception. 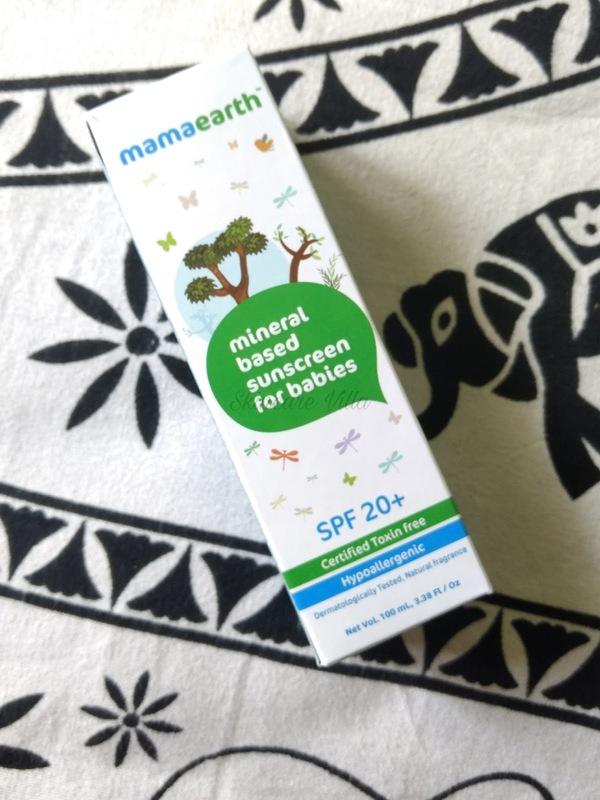 Coming straight to the point, with the recent chemical free or lesser chemicals, surge in everything we eat as well as put on our skin, the babies section isn't left behind. 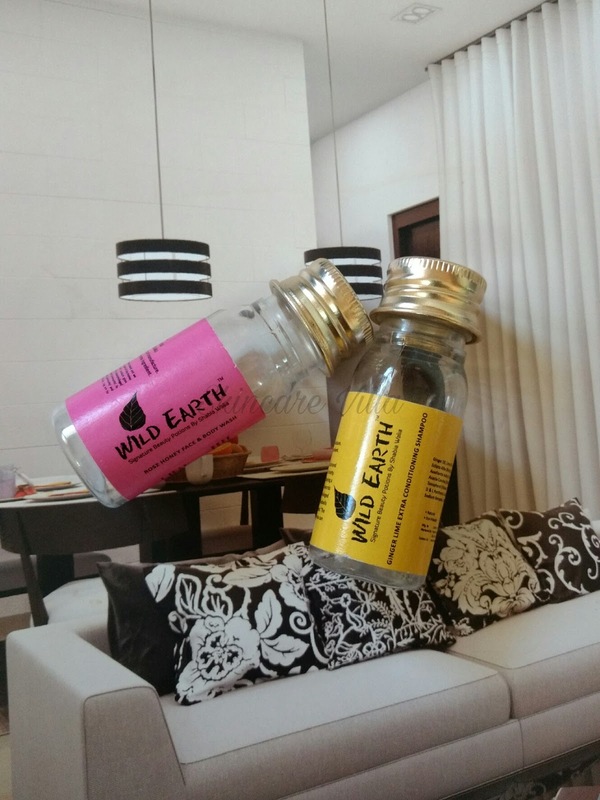 Today's focus is a brand by parents, Ghazal and Varun, called Mama Earth. We are parents just like you. Our journey began when we, Ghazal and Varun, were expecting our first child. That’s the time we turned from a bungee jumping, pub hopping, carefree couple to basically a couple of safety wardens. Everything had to be safe, kosher & googled. When the morning sickness became a routine, we were shocked to find that there were no safer alternatives to pills and ended up having to struggle a lot. After 9 rigorous months, we were finally blessed with our tiny little bundle of joy and just like you and every other parent in the world; we too wanted the best for our cute bambino. So we wore our spy glasses & did all the possible research available. 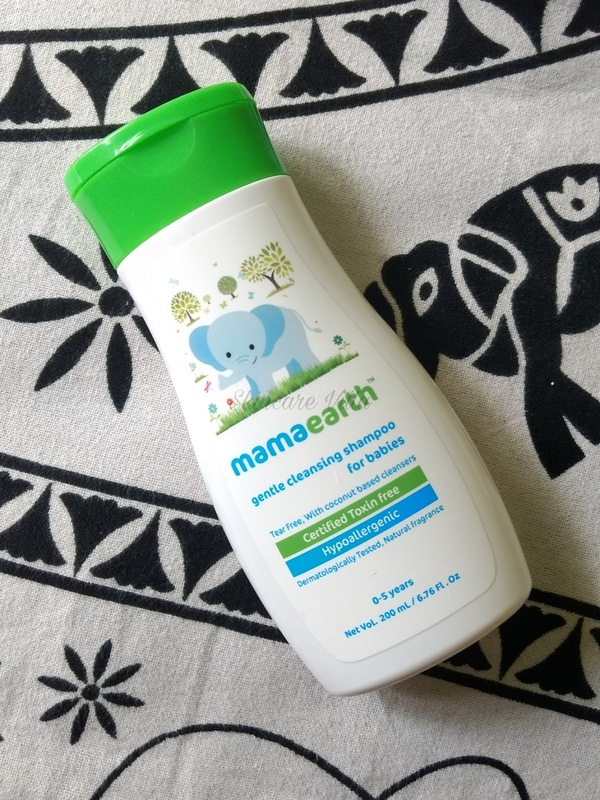 Whoa, we were shocked to see how most baby products, be it lotion or shampoo contained toxins which have proven to be harmful for the little ones. We were worried sick and it wasn’t just our baby we were worried about but also for all the little ones we knew in our friend circle. That’s when we decided to do something about it & create products which were completely safe & certified toxin free. A brand, by a parent, for the parent. A brand which develops products from world class research and attempts to solve every little problem that we as parents face. 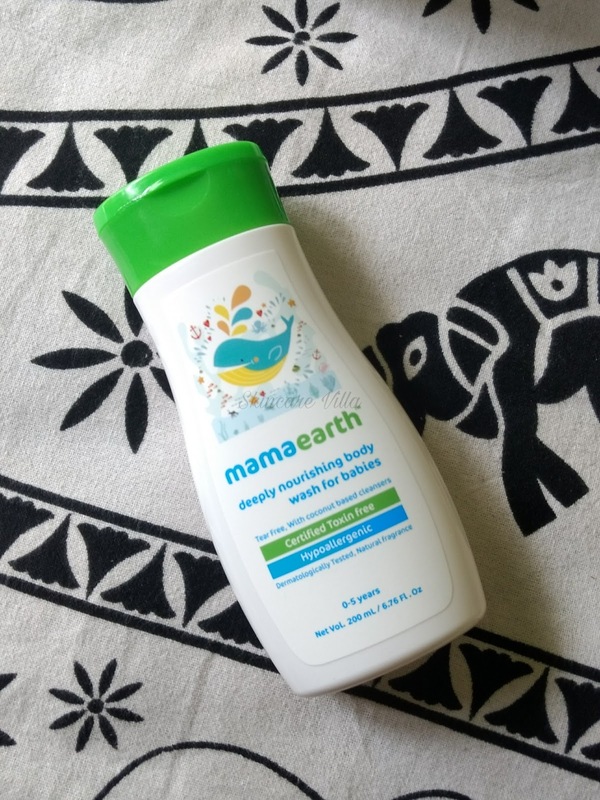 With the aim of making products which are mum-baby friendly, toxin-free, meet stringent international standards & are basically ultra awesome, MamaEarth was born. 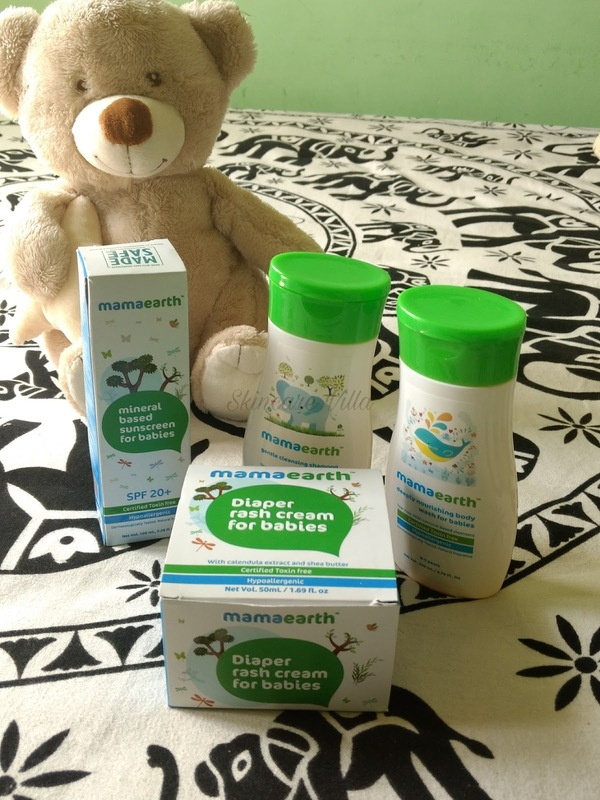 I received a kit consisting of body wash, shampoo, diaper rash cream and mineral based sunscreen. Each product has a cute animal picture to make it fun for small babies and children. I really liked this concept. After using the products for a few days my impressions are as follows. The body wash has a citrusy orange, rejuvenating fragrance. The body wash larger pretty well and foam is quite frothy as compared to commercial body washes with more chemicals. It doesn't dry out the skin at all and leaves the skin mildly fragrant. This is a coconut based cleanser with a no tear formula. It is free from parabens, sulfates, phthalates, mineral oil, petroleum, synthetic fragrances or dyes. The shampoo has a tear free formula with coconut based cleansers. 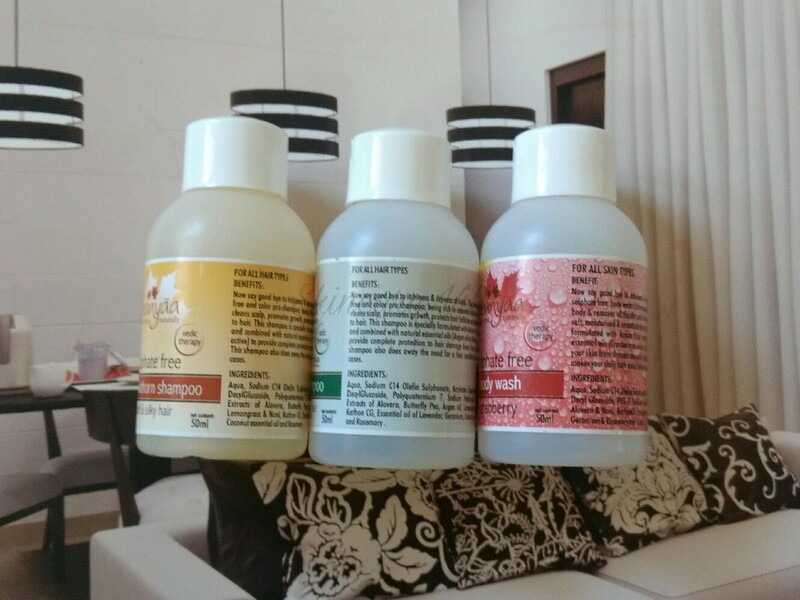 The shampoo is thick, soft and mildly foaming which effectively cleanses the hair without drying them. 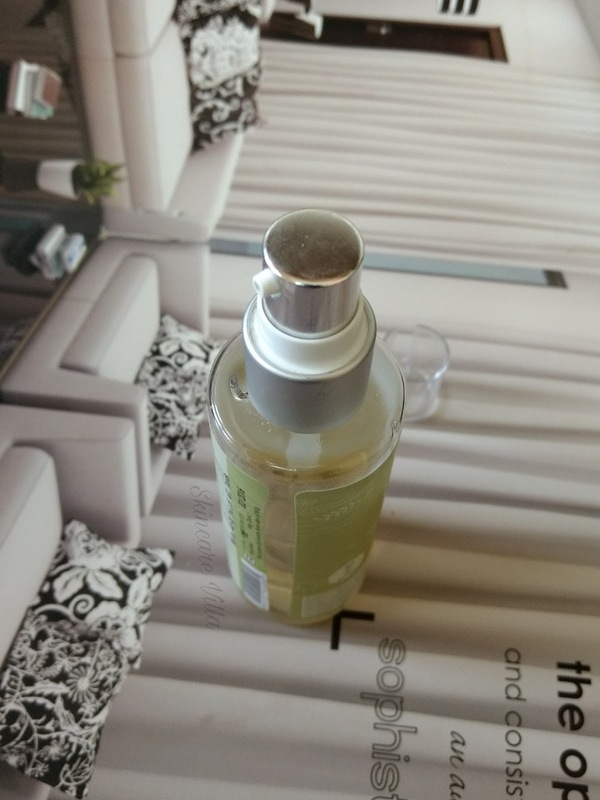 It contains no parabens, sulfates, phthalates, mineral oil, petroleum, synthetic fragrances or dyes. I totally liked the fragrance which is not at all over powering. Since my 2 year old son is not using diapers anymore, I didn't get a chance to use this one. But looking at the ingredients list am pretty impressed. 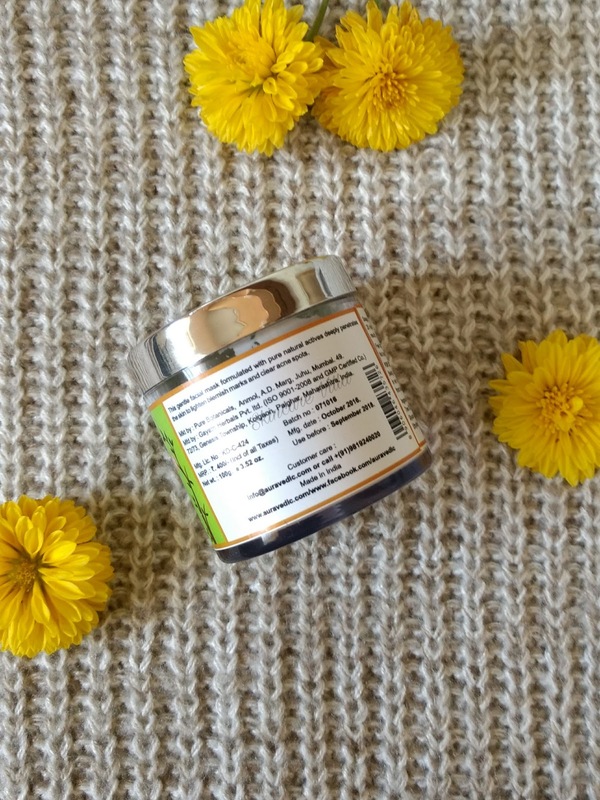 It is fortified with Shea butter, Calendula extract, Wheat germ, Almond& Olive Oil which are all soothing for irritated skin. Of course it is free from parabens and other nasty chemicals mentioned above. I didn't get a chance to test this as my son isn't into school and I hardly ever take him out in sun. I know sunscreens are to be used even when we are indoors but I would still not put him on sunscreen right now as he needs to get used to the environment. 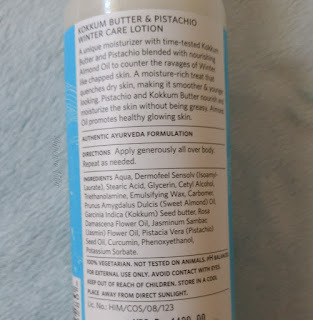 However I went through the ingredients list and found it pretty impressive with Active minerals (Zinc), Shea butter, Calendula extract, Wheatgerm, Almond & Olive Oil as main Ingredients. Apart from above products they have Body Lotion, Insect repellent and soothing massage oil for babies. 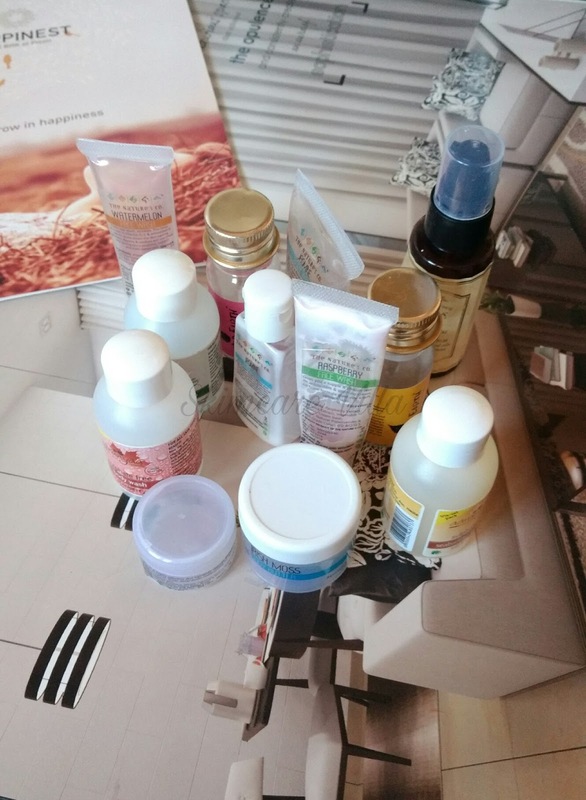 Overall I really liked all the products which I tried and I would love trying others when I get a chance. 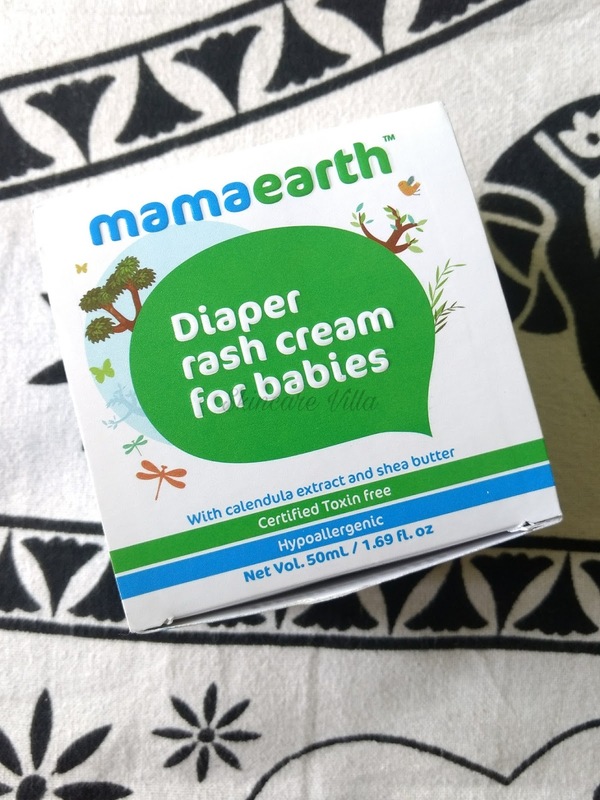 You can buy Mama Earth products on Amazon and as well as FirstCry. And yes don't forget to check their website.